A contract has been accepted on your house. Buyer and seller have agreed on a price, but we must now get past the appraisal if the buyer is getting a mortgage to purchase the home. This week, we will explore what takes place during this phase of the transaction. A home appraisal is a third-party estimate of a property’s value. Since the property is being used as collateral to secure a loan, mortgage lenders require an appraisal be completed to ensure that the value meets or exceeds the agreed purchase price. With this assurance, the lender can be confident that if the prospective buyer falls on difficult times and defaults on the loan, the monies can be recouped by foreclosing and selling the property. To ensure an absolute objective opinion of value, lenders today generally use a third-party service to assign appraisal orders to local licensed appraisers. This “firewall” was created to preclude any collusion between lenders and the appraisers in the field, who are charged with determining fair market value of each property-without any undue influence. A home’s appraised value is based on a variety of factors such as square footage (both above and below ground level) number of bedrooms, bathrooms, location and general condition. What a property has previously sold for or what an owner may have invested have little to no bearing on the current fair market value of a property. In addition, what a neighbor says the home is worth or the price at which a competing home that did not close was offered for sale have no bearing on the appraised value of a property. The appraiser’s job becomes more challenging in a market like we are experiencing in 2016-2017, with rapidly rising home values. Appraisers must establish current values using recently sold data, so relative comparable sold homes quickly become “dated” in our current market. The average home price in our region increased by 9.9 percent in 2016 and YTD in 2017 we have seen the average price move up 11.3 p-percent. You can see how a home that sold just one year ago may not reflect the values that same home could demand this year. The agreement terminates and both parties are released. The third scenario does come with some potential aftereffects. With FHA and VA loans, the appraisal remains of record for six months, so the seller may be “stuck” with this value if a subsequent buyer wishes to use the same loan type. A new appraisal would be ordered if the next buyer uses conventional financing. 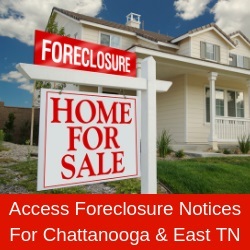 Once again, you need an experienced Realtor affiliated with the Greater Chattanooga Association of Realtors to guide you through this step of the sales process.